UPDATE 12/19/18: This post is from 1/23/2018. Many of the actions that are described happened in 2017. Things may have been updated since then. I've been approached by the Podmio legal team to remove all screenshots. As a podcast consultant, I like to try all sorts of technology to stay informed with what is going in the space. Today I'm going to talk about things to keep in mind when you move, how to move, and why or why not you should move. I also have a resource if you're moving your entire website without learning any code. First the disclosure. I was a customer of Libsyn.com for 10 years before becoming an employee almost two years ago. So when I talk about Libsyn competition, I do my best to keep my Libsyn employee hat off and keep the Dave Jackson School of Podcasting hat on. I also have taken extra effort to base my comments on what happens. Now what I think should happen. I will be sure to tell you when something is an opinion and when something is a fact (as I know it). Don't control my feed, and make it easy to leave if I choose to do so. I need to be able to put in a 301 redirect. Give me support. Preferably within 24 hours. Give me stats so I can see what's working. It would be nice if they were accurate. *Some media hosts offer to inject your mp3 file with an advertisement and in those instances, they pass my criteria. Use the coupon code sopfree to get a free month at any of these services. Why Would You Move Your Podcast to a New Media Host? You've run out of room, or in some cases, they just aren't any good. For example, Soundcloud put out two updates to their system last year and neither one had any improvements to their podcasting tools. They do not (or to the best of my acknowledge) even acknowledge that there are new fields available in Apple Podcasts. Throw on top of that, they have lost millions of dollars. Maybe you're not happy with their service, features, etc. Maybe they sell you on certain features that you find out later aren't entirely accurate. Maybe you decided to host your media files on your web host and now they are telling you that your files are taxing the servers too much, and you are monopolizing resources. If your show doesn't bring value putting your files on a new media host won't help you. Even if the new service officers more promotional opportunities, if your show has no value to your listener telling more people will not help you grow your audience. If you're moving hosts to see if your audience grows, that is a bad strategy. Your hosting has nothing to do with popularity. They help you redirect your feed. To follow this from a listener point of view. You've put in a “New feed Tag” into the new host, and on the old host, you have put a 301 redirect (kind of like a change of address slip). So now you listener fires up their app, and they see the 301 redirect and it directs the app to the new feed. When their app gets to the new feed, it says “HOWDY I'M NEW, and for the most part, it will update the app to look at the new feed. Apple recommends you leave that redirect in place for four weeks. Why? Because not everyone fires up their podcast application every day. By leaving it in place for four weeks, most of your audience will get the message and their apps will update. In some cases, (Google Play Music, and TuneIn) you will have to contact them to have them manually update your feed. You can update it yourself in Stitcher.com by going into the Stitcher Partner Portal. Please note the newfeed tag is intended to be on the NEW feed to alert apps to update. It DOES NOT redirect your feed. So if you're using a feed based in WordPress, who do you redirect it? It's super easy. You install the plugin, and put in your old feed address, and enter your new address and the plugin does everything else. The redirect goes into place almost instantly (you may have to clear the cache on your web host). You can test the redirection by “going to” your old feed (put it in the address bar of your browser and press enter). You should see it redirect to your new feed. If it doesn't something is wrong. I was contacted by a company wanting to know if I wanted to test drive their new podcast hosting service. They stated that they were more innovative than some of the current hosting companies. I'm really not doing this anymore (as I often spend hours to find out that it's not a hosting company that meets my criteria, but I was told they did). I invited the person to come on my Ask the Podcast Coach show (12/23/17) and do a brief demo. I let the person know I was a Libsyn employee, but would not be jumping down his throat or be combative. They had a deal going, so I jumped on to test it. I wanted to see these “New” features. I decided to move my Podcast Rodeo show to their platform. I had some questions and not all my information came over, and when I went to their ticketing system, it was mandatory that I choose a category. There weren't any categories. Their support was quick and answered back to use a different ticketing system. This again did not have a drop down and stopped me from supporting my request. So I was interested in their “new” features at the time their site was advertising dynamic ad insertion. (they have since updated it show “No more stale ads. The interchangeable advertisement that's guaranteed to generate revenue). I was really interested in this as most companies that offer this (Libsynpro, Omni studio) start a $99 a month. Podmio is $47 a month (UPDATE: They are now $19 a month). There is really only one problem. For most people in the podcast industry, dynamic ads are where your hosting company inserts ads at a place that you specify. Then later if you change the add out, it swaps out the old ad for the new advertisement. That is true dynamic ad insertion. With Podmio, their ads only work on your website (where you have the player embedded) . So when you click play, a window appears with the image and link that you specified. However, this add is NOT inserted into the mp3. The advertisement only works on your website (80% of podcasts are consumed on a portable device, with quite the minority listening on the website). 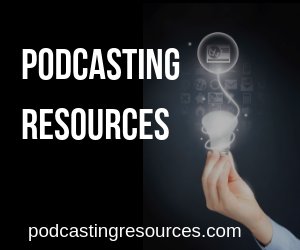 So when you are dealing with a new podcast hosting company, you may be finding more bugs. In some cases, you may find things missing (Like the Apple iTunes tags – still missing from Soundcloud). Their advertising feature does not inject ads into the mp3 file. They had a few bugs to work through. These have been repaired. Their feeds at the time were questionable. They did refund my monthly payment due to the issues I faced. I would not recommend them as a host. Again, you may have a different experience as most companies are always implementing new tools and features. This experience was from early 2017. Even when I first started using Libsyn in 2005, they had some issues when they were new. If you are using a new company that wants you to add a prefix in front of your media file URLs, be careful. The way this is structured the listener goes to the company with the prefix, the download is counted and it redirects the listener to your media host (where the download is tracked again). As the listener goes to the first tracking company, in the event they have an issue ALL of your episodes will be affected and will not be able to be downloaded or streamed. In regards to companies like Podtrac.com and Blubrry.com, I trust them as they have been in the podcasting space for years and have a proven business model. Other companies such as chartable.com currently have no revenue streams in place and are doing things “out of the ordinary” such as asking for your login and password to your Apple ID, and media hosting company. This confuses me. What company asks you to give them the password from another company? For me, that is too “outside the box” for me to understand. Cast.plus has had over 45,000 in VC money they started in 2015, and reports are coming in on Facebook that they are closing their doors. The other question you might want to ask is what additional stats are you getting from using a third party? 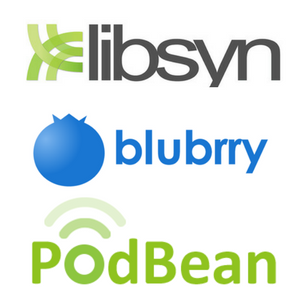 Blubrry, Podtrac, and Libsyn deliver very similar results (and using two stats system just complicates matters). Right now Anchor.fm is getting a lot of attention as they are free, and easy. However, free is not a good business model. In my 13 years of podcasting, here are some companies I've seen come and go. It sounds great that there are systems that will inject advertisements into your episodes. After all, you are only getting 300 downloads per episode and that is not enough to get a “big” sponsor. The problem is the Dynamo system I am using from voxnest is delivering rates of $1.77 per one thousand downloads (.00177 per download) that means if my episode gets 300 downloads I make .51 and for the month if I do a weekly show I will make approximately $2.04 for the month. Yes, this is better than nothing but how much work are you putting into to placing these ads. How many potential listeners tune out because they don't want to hear unrelated ads. Often the answer I hear about this is to have an intro, midroll, and outro add (to triple my revenue). This would mean I would make $6.12 at the end of the month. Dynamic ads do not work for the majority of podcasters as a few hundred downloads per episode won't pay for your media hosting bill. If your show is not growing, and you want to blame it on the technology another strategy you may want to look at is taking to your audience. See if you can't assemble a “focus group” of listeners who will talk about your show like you are not in the room and give you feedback. While some hosts are decidely better than others, in some cases it may be the content that is holding back your growth. I am considering switching from SoundCloud to LIBSYN while my show is still pretty new. Will this affect the quick growth/subscribers/etc I already had? Is there anything I should be ready for while making this particular switch? I am soooo new to software so any help is great. Coming very late to the Podmio thing – that could be because Gmail sends their promotional e mails straight to spam. Thanks for the review of them. It all looks too good to be true. Think I’ll be sticking to Libsyn, if there is a feature worth having I know they’ll eventually add it – and it will work, no fuss. Podmio sent an email to a libsyn customer today. In my opinion, that sounds like someone would do if they were in a panic. They sent their email to a Libsyn customer and for me, that sounds like a company in a panic. Just my opinion. Go to libsyn.com and use the coupon code sopfree to get one free month. Libsyn numbers are more accurate (some places like podtrac won’t event acknowledge Soundcloud numbers as you can buy Soundcloud plays – they are VERY unreliable). Libsyn can import your files for free, and you paste a small bit of code into Soundcloud and you’re done.